Feel like something floaty and easy? 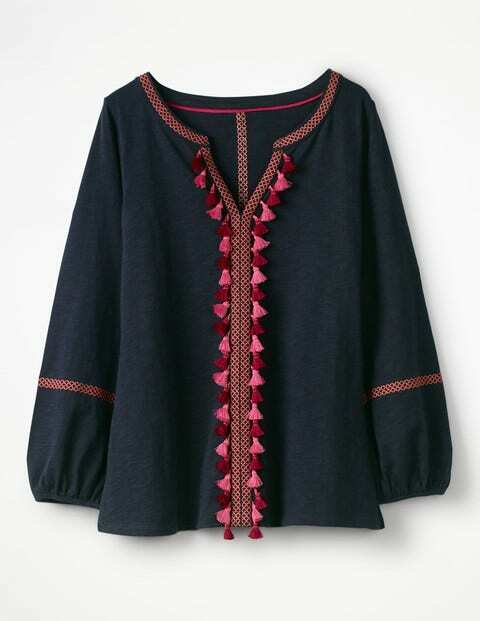 Our tassel-front jersey top is the perfect fit, with balloon sleeves and plenty of swishing space. The embroidery detailing means this one's more than just a relaxed throw-on – say the word and it'll be ready to party.